AMSOIL has given their Multi-Vehicle Synthetic Power Steering Fluid a formulation tune-up to meet more specifications than ever. This fluid now covers most all applications to go with its other merits which include all-weather capabilities and smooth performance. Like many components on your vehicle, the power steering system will benefit greatly from a good synthetic fluid. Synthetics have the innate ability to resist breakdown in extreme heat and yet remain fluid under frigid conditions. That painful growling noise that you hear during cold start-ups is your power steering pump starving for oil. This product virtually eliminates that issue, providing tremendous year-round wear control and smooth operation. The power steering system is one of those over-looked maintenance items, but the benefits offered by this inexpensive upgrade are well worth it. Posted the second UOA for my wife’s 2006 Pontiac Vibe on bobistheoilguy.com for review. Everything remained fairly constant between the two samples. 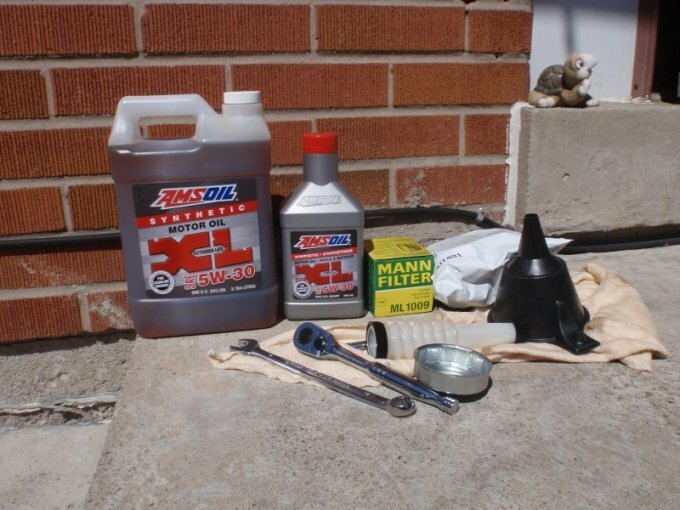 The AMSOIL XL line of oils is a pretty stout product. We ended up pushing it out to 14,000-km/7-months which is a month overdue on time and 2,000-km under in mileage for the product service life. Our Pontiac Vibe came due for her 160,000 oil change this weekend. 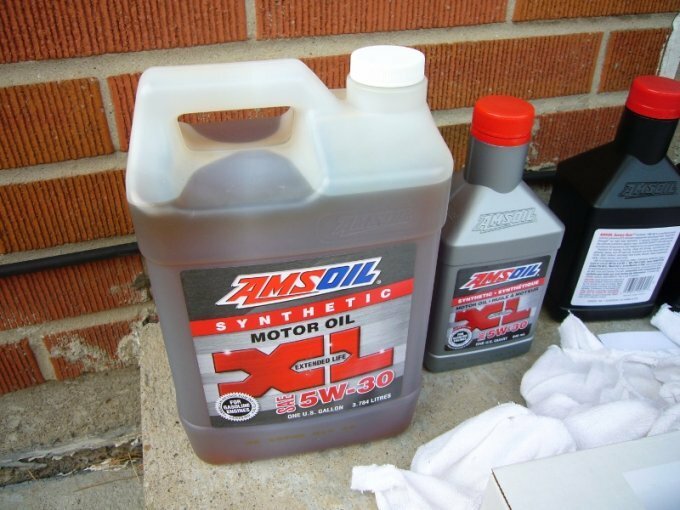 I switched this older vehicle to AMSOIL Extended Life 5W-30 Synthetic Motor Oil. In the three tiers of motor oil at AMSOIL this is the mid-range product that is capable of 16,000km or 6 months. Since I’m switching over a vehicle that already seen quite a few miles and has been run on oils ranging from bulk tank specials at the local lube shop to whatever was on sale at Canadian Tire. I decided to run some AMSOIL Engine and Transmission Flush though the engine.